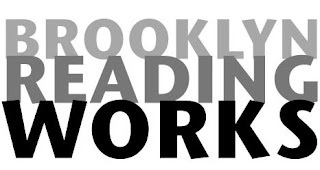 There are two interesting events coming up at the Brooklyn Reading Works this month, as outlined in an email from OTBKB's Louise Crawford, who also organizes the Reading Works programs. On Thursday, April 19th "Mom Bloggers" who write about autism will read at The Old Stone House at 8 p.m. Fifth Avenue between 3rd and 4th Streets. MothersVox of Autism's Edges and Kristina Chew of Austismland are reading. Then, on Saturday April 21, there's "Inner Lives, Developing Characters." That's a one-day writing workshop with novelist Regina McBride, author of "The Nature of Water and Air." It takes place from 10:30AM-5PM at the Montauk Club. The fee is $125, but it's promised as a "great jump start for writer of all levels." Regisration information via nightsea21 (at) rr (dot) nyc (dot) com or louise_crawford (at) yahoo (dot) com. Thanks for mentioning. I am really excited about both events. The mom-bloggers who blog about life with an autistic child shoud be really fascinating. And I swear by Regina McBride's workshops. It's been great for my novel writing and I always come away with great material. The workshop is just about full but there is room for a few more interested writers...All levels welcome. louise_crawford@yahoo.com to register.